No President ever faced a crisis like Abraham Lincoln: a Civil War pitting brother against brother and costing America more lives than all her other wars combined. In the midst of tragic personal loss and threatened extinction of the national Union, where would our greatest leader turn? Not long before his assassination, Lincoln told journalist Noah Brooks: "I have been driven many times upon my knees by the overwhelming conviction that I had no where else to go." The sixteenth President's spiritual journey was not an easy one. It is almost impossible to classify his faith by any standard measure, yet in Abraham Lincoln's own speeches and writings, a deep and growing faith shines through like a bright light in a very dark land. 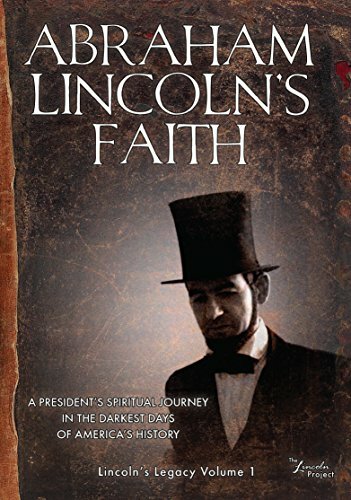 ABRAHAM LINCOLN'S FAITH features Chris Small in a dramatic narrative which follows Lincoln from his mother's knee to the explosive and faith-affirming words of his Second Inaugural Address. If you have any questions about this product by The Lincoln Project, contact us by completing and submitting the form below. If you are looking for a specif part number, please include it with your message.